Through an application supported by USB cameras, it looks as if USB video and audio devices exist in the network. It is possible to receive video and audio from these devices and use them for recording, etc. Up to 5 cameras can be registered. 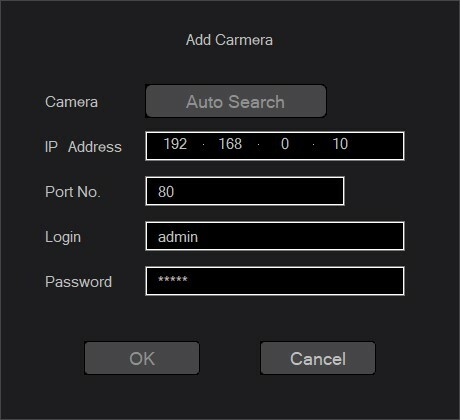 Automatic detection of cameras is possible. 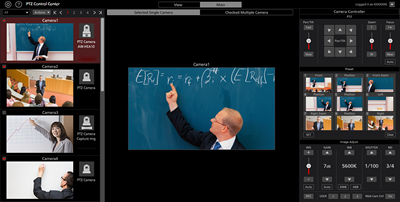 Configuring the camera’s network settings is also possible. 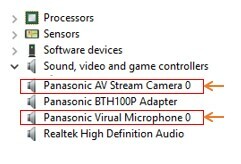 Cameras can be easily added with Virtual USB which shows within the Windows device manager. This turns the PTZ’s into a USB device like a webcam, which can then be easily used within any Windows application that captures video. Up to 4 streams can be used at one time with each needed to be configured, resolution and frame rates can also be set (please read operations manual on how to configure each camera). Once the software is activated, it will boot on start-up with no intervention required – running as a back ground task. This means the software performs an auto connect.